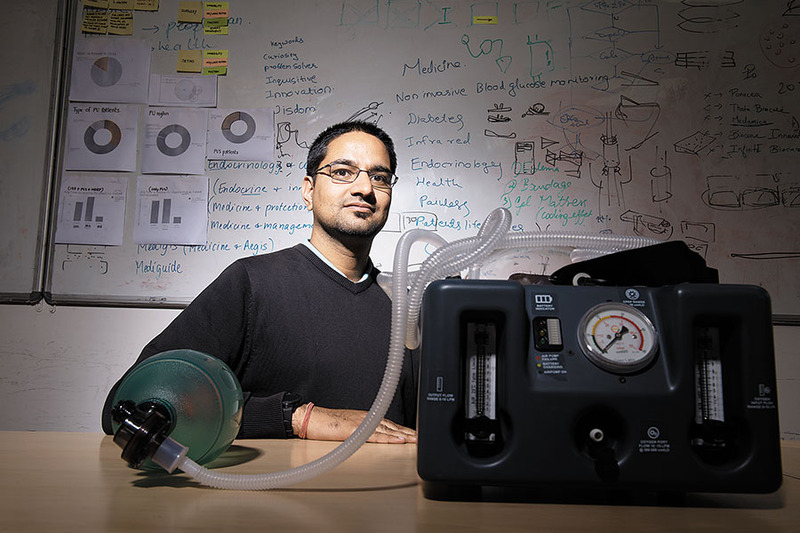 As part of the 2013 Stanford-India Biodesign programme—an initiative between the department of biotechnology, Government of India and Stanford University—electronics engineer Nitesh Jangir developed a medical device that could extract excess fluid from the lungs of tuberculosis and cancer patients. A year later, as part of an incubator programme, he was sent on observership to a tertiary care hospital in Bengaluru where Jangir saw premature babies succumb to lung failure before they could be admitted to hospital from primary health care centres (PHCs). The PHCs, mostly located in semi-urban and rural areas, didn’t have skilled clinicians, the high-end equipment required, which cost around ₹3 lakh, or access to constant power supply. Subsequently, Jangir and Nachiket Deval, 31, co-founded Coeo Labs in in October 2014, and developed a portable and mechanical medical device known as a CPAP (continuous positive airway pressure) that assists babies in breathing. Jangir says the device, priced at ₹60,000 apiece, is cheap enough for every PHC to own one. The Bengaluru-based medtech startup has also developed another device called VAPCare, which helps prevent patients on ventilator from contracting infections. Ventilator-associated pneumonia, according to Jangir, is a common and even life-threatening infection that patients contract while in hospital. The device has been granted a utility patent in India, China as well as the US. Coeo Labs has raised close to $1 million in funding through grants and equity from the department of biotechnology and InnAccel, respectively.